In this investing research note, we will analyze key stock market indicators, weigh the health of the S&P 500 Index (INDEXSP:.INX), and discuss old and new themes that we are watching in our investing research. 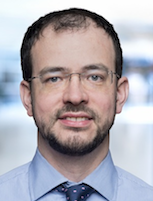 Upswing in Volatility Could Have Indexes Looking for Support – Volatility (INDEXCBOE:VIX) remains low by historical standards, but it has started to move higher in recent weeks. 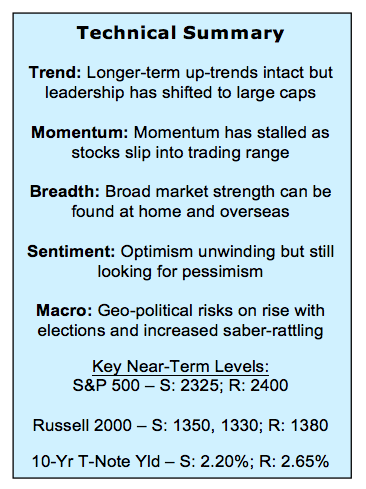 With sentiment indicators showing that optimism remains elevated, this could put further downside pressure on stocks. 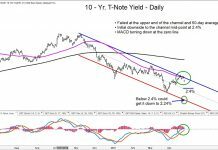 Bond Yields Break Below Support – After five months of trading in a narrow range between 2.30% and 2.60%, the yield on the 10-year T-Note broke below support this week. 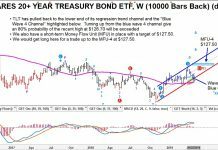 With geo-political risks on the rise, safety-minded investors could continue to bid down Treasury yields. 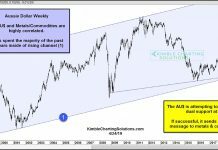 Gold Heating Up – Gold is also getting more attention. While the long-term down-trend remains intact, it is being tested as gold moves toward $1300/oz. The S&P 500 may have come too far too fast in the wake of the November elections. 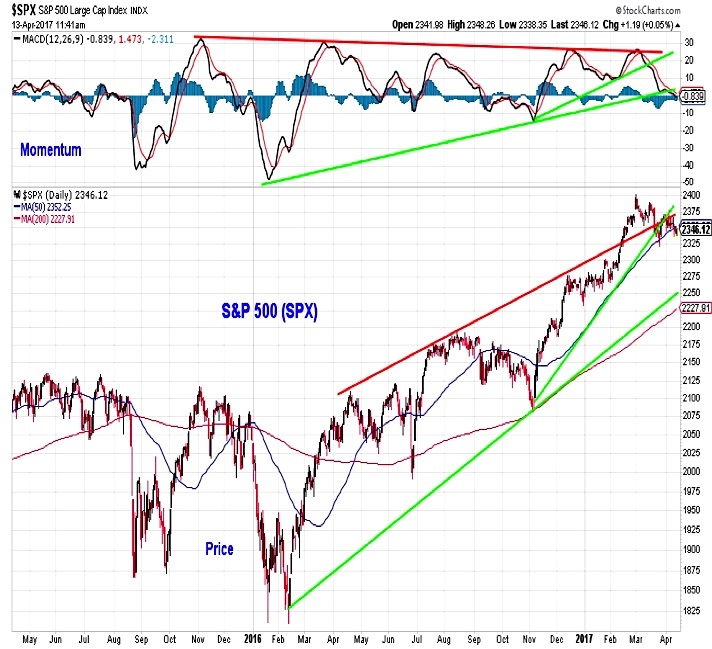 While a down-trend has not emerged, the up-trends in terms of both price and momentum appear to have run their course. This suggests lower lows may need to be seen before the rally has a chance to reset, especially with sentiment indicators still showing elevated optimism and a lack of pessimism. The longer-term trend line off of last year’s lows suggests support in the vicinity of 2250. 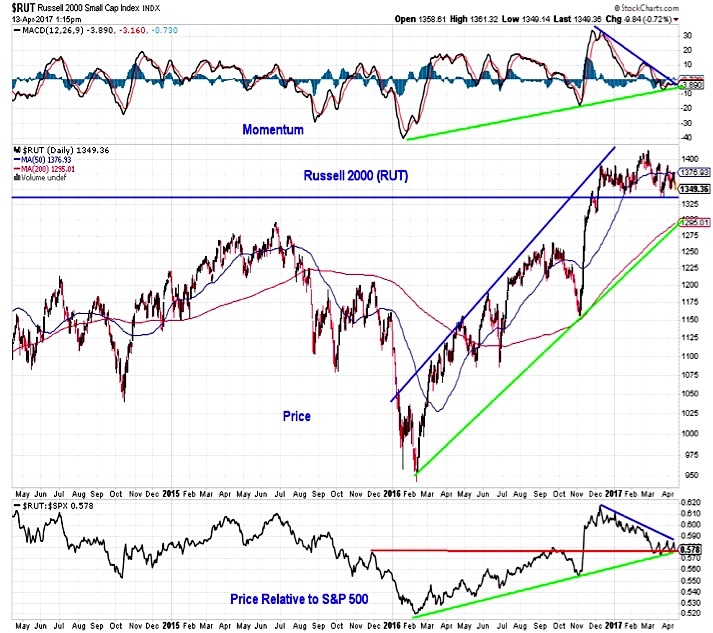 A similar situation can be found with the Russell 2000 Index (INDEXRUSSELL:RUT). The rally to new highs got over-extended and has yielded to consolidation. Both momentum and the relative price line for the Russell 2000 have pulled back significantly, while the overall price has held support in the area of 1330-1350. If consolidation yields to further correction, look for potential support near 1300. 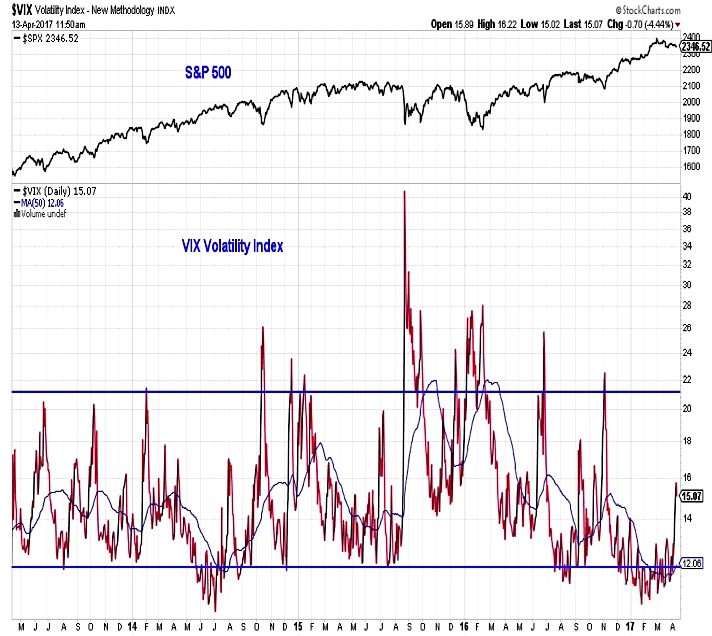 The Volatility Index (INDEXCBOE:VIX) has moved off of the low levels that were present at the beginning of the year. This could be the first leg of a spike higher in volatility. The bad news is that getting to a peak in the VIX, even if relatively mild by historical experience (say just above 20), is typically an uncomfortable experience for stock market investors. The good news is that spikes tend to be short-lived and reverse quickly, with stocks typically rallying as fear unwinds.